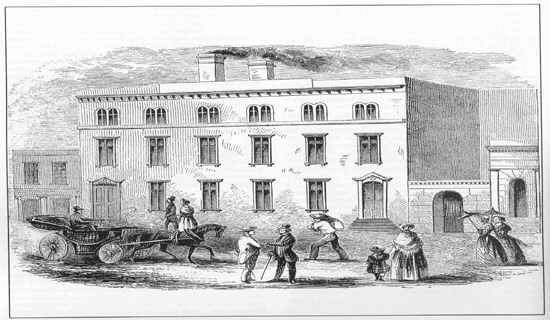 This engraving is of the first San Francisco Mint, circa 1854. Source: Bowers, Q. David. United States Gold Coins, An Illustrated History . Los Angeles, CA: Bowers and Ruddy Galleries, 1982, page 50.